A standard home inspection is a visual examination of the physical structure and major interior systems of a residential building, much like a physical exam that your doctor may perform on you. However, it should be clearly understood that a home inspection is not to be confused with an appraisal, warranty evaluation, building code inspection, a guarantee of any kind, and/or an insurance policy on the condition of the property. What does a standard Home Inspection Include? During a home inspection, the inspector will review the readily accessible exposed portions of the structure of the home, including the roof, attic, walls, ceilings, floors, windows, doors, basement and foundation, as well as the heating/air conditioning systems, interior plumbing and electrical systems for potential problems. Keep in mind that a home inspection is not intended to point out every small problem or invisible/latent defect in a home. Most minor or cosmetic flaws, for example, should be apparent to the buyer without the aid of a professional. The purchase of a home is one the largest single investments you will ever make. With that in mind, it is extremely important that you learn as much as you can about the condition of the property and the possible need for any major repairs before making the purchase. 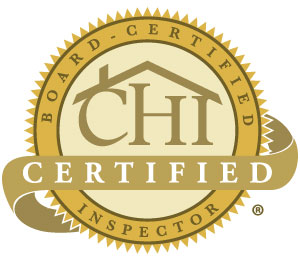 A home inspection by a “CHI” Certified home inspector helps minimize the possibility of unpleasant surprises, unexpected costs, and post-purchase headaches. It’s important to remember that a reputable home inspection company will also point out the positive aspects of a home, as well as the maintenance that will be necessary to keep it in good shape. After the home inspection, you will have a much clearer understanding of the property you are about to purchase, giving you confidence and peace of mind. What’s more, a home inspection is not just for new home buyers. For existing homeowners, a home inspection may be considered in order to identify problems in the making and to learn important preventive measures to avoid costly future repairs. If you are planning to sell your home, you also may wish to have a home inspection prior to placing your home on the market. This will give you a better understanding of conditions which may be discovered by the buyer’s home inspection, and an opportunity to make repairs that will put the house in better selling condition. How much does a Home Inspection typically cost? The fee for a typical one-family home inspection varies geographically, much like the cost of the property itself. Other cost factors include the size and features of the house, its age, and additional considerations such as optional testing. It’s always a good idea to compare prices from several different home inspection services in your area, paying close attention to exactly what is included with the price. When comparing inspection services, it’s important to remember that the lowest-priced inspection companies are usually not the best choice. Keep in mind, most home inspection companies do the bare minimum when it comes to what they inspect. The bare minimum meaning what’s required by the State. 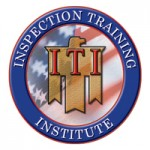 So, ask the inspector questions; for example, do you inspect the foundation; if so, how? Remember, the best inspectors should perform a foundation level survey to determine the levelness of the house. 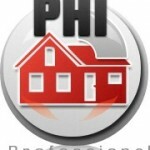 Next, check the home inspection professional’s qualifications, including his experience, training, professional affiliations, and most importantly his licensing status and professional certifications; make sure he/she is “CHI” certified when making your decision. Can’t I perform the home inspection myself? Technically, yes – but you’re taking a substantial gamble in doing so. Typically, even the “handiest” homeowner lacks the knowledge, training, and experience to perform a comprehensive home inspection, a professional who has inspected hundreds, perhaps thousands, of homes over the span of a career. 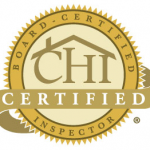 A “CHI” certified home inspection professional that is fully licensed is familiar with the countless elements of home construction, proper component installation, and maintenance. They understand how the home’s systems and components are intended to function together, as well as how, and why, they fail. What’s more, most buyers find it very difficult to remain completely objective and unemotional about the house they really want, and this may skew their judgment. For the most objective and accurate assessment of any home’s condition, it is best to obtain an impartial, third-party opinion by a trained, licensed expert. Can a Home actually “fail” a home inspection? Realistically speaking, no. A home inspection is merely a thorough examination of the home’s current condition. It is neither an appraisal (which determines market value) nor a municipal inspection, which verifies local code compliance. Most home inspection professionals, therefore, will not “pass” or “fail” a house, but will accurately and objectively describe its physical condition and indicate potential problems or concerns. With A-Pro, that’s a bit different, since our home inspection service comes with a 120-day home buyer’s assurance guarantee. A home inspector is typically contacted right after the contract or purchase agreement with the seller has been signed, and, depending on the home inspector’s schedule, is often available within a day or two. However, before you sign any agreements with the seller, be sure that there is a home inspection clause is inserted in the contract, making your purchase obligation contingent upon the findings of a professional home inspection. This clause should specify the terms to which both the buyer and seller are obligated. You will learn, first-hand, about the condition of the home and become familiar with all its features and components. You will get to know how various systems work, and how to maintain them. If for any reason you cannot attend the home inspection, you can still rest easy knowing that your licensed A-Pro home inspection professional will provide you with a comprehensive, written report describing the inspection and its findings. However, there’s simply no substitute for actually being there while the home inspection takes place. Make time to be there! First of all, it’s important to remember that virtually no home is perfect. If your home inspector does identify some problems during the home inspection, it doesn’t necessarily mean you shouldn’t buy the house, only that you will know in advance what to expect. What’s more, you may be able to negotiate the purchase price of the home with the seller if significant problems are found, which will help you offset the required repair costs. If the house checks out PA, did I really need a home inspection in the first place? Most certainly, yes. Now that your new home has been thoroughly inspected, you can complete your home purchase with confidence in its overall condition and its vital systems and components. You will also have become knowledgeable about your new home’s structure and systems and can keep that information handy for future reference. What’s the difference between a Home Inspection and Home Warranty Evaluation? Some inspectors – whether hired through real estate agents or the home buyers themselves – don’t really perform a complete home inspection at all, but rather what’s known as a “warranty evaluation” and the difference is significant. In a nutshell, a warranty evaluation usually takes under an hour, only covers basic elements that are covered by the home warranty such as the heating/air conditioning system and other built-in mechanical systems. Whereas a real home inspection consists of a full comprehensive evaluation of virtually every system and component of the home, including major appliances, roof, structure and utility systems, and includes a complete, written inspection report. A licensed home inspector is also required to carry a minimum of $300,000 in Errors & Omission (E&O) Insurance, which protects both client and real estate agent in case the inspector inadvertently misses or omits a major defective system or component from his home inspection report. When selecting a home inspection service, make sure that you are, indeed, getting a full home inspection, and not a simple warranty evaluation. The difference could mean potential savings of thousands of dollars in repair and maintenance bills over the long term. Call Craig now at 1(505) 510-0270 for answers to other questions you may have.